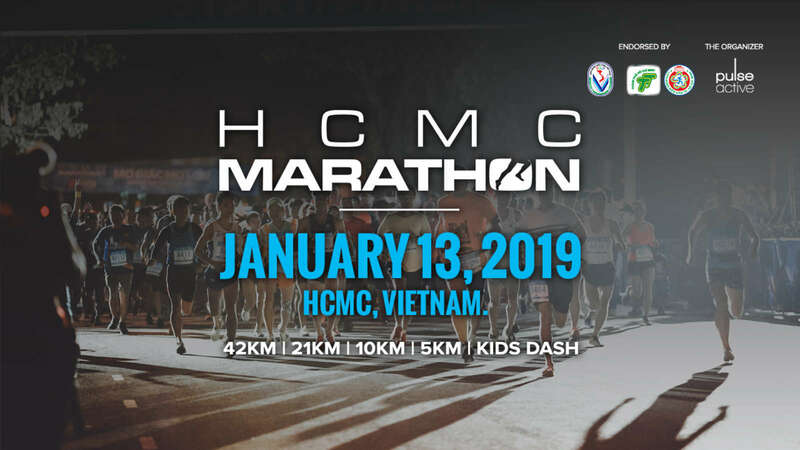 HCMC Marathon 2019 proudly invites you to run the biggest marathon in Vietnam which counts with the continuous support from the Association of Athletics Federations in HCMC and the HCMC Department of Culture and Sports. 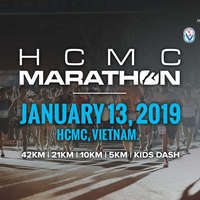 The event will be held on January 13, 2019 to encourage people who love running to get over their limitation and have a marathon experience. To us, running is never just about reaching the finish line but also about the vibes, the excitement and the beautiful sceneries along the way that will stimulate the runners’ senses. 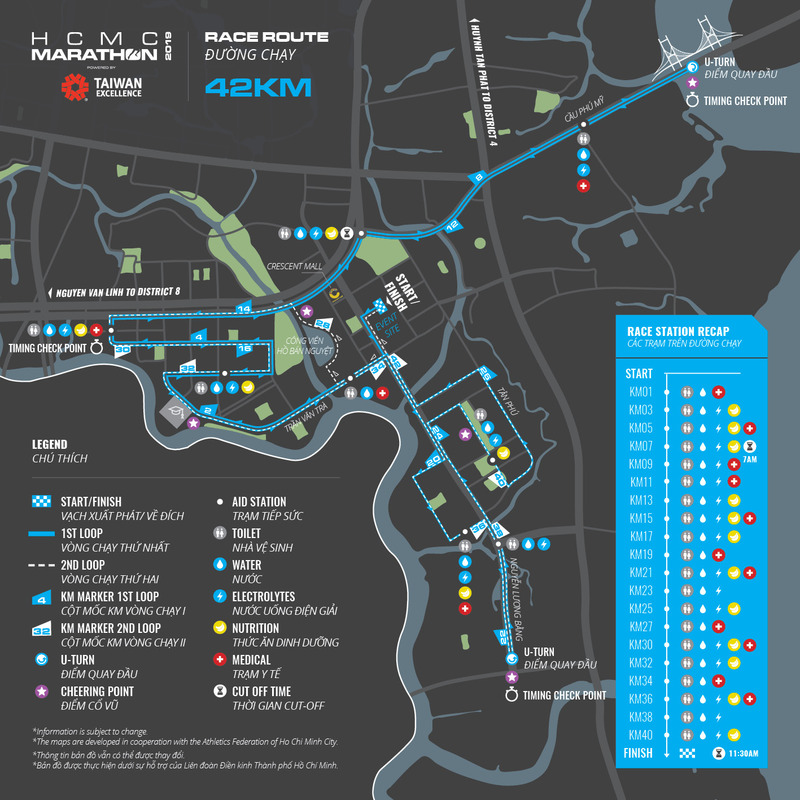 A nice route is waiting for you to explore and to enjoy our city marathon right here in Saigon, Vietnam. Open for both Vietnamese and Non-Vietnamese. Participants under 16 years old must either sign the waiver form or be accompanied by a guardian. **For race kit pick up on behalf, you will need to bring participant's confirmation email and their personal documents (ID/passport/resident card..). You also need to bring your personal document. For Participants who cannot make it for the REPC dates, you may send a Representative to collect for you. - Please inform the organizer via email registration@pulse.vn in case of your late arrival that you cannot come to pick-up your race kit on January 12th, 2019. 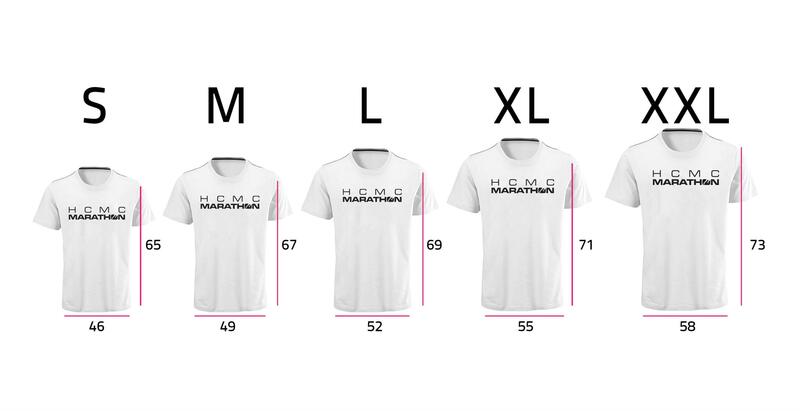 - We will try our best to provide the chosen T-shirt size, but in case your size is not available, please choose another size. - Please check your race kit carefully when you receive it on race kit pick up day. If for any reason you are not satisfied with your race kit or there are any goods missing after when you bring it out of race kit pickup site, we won’t be able to accept back any goods or exchange for any new ones. - Finisher medals & finisher T-shirt will be awarded to the runners who finish the race at their respective cut off times. 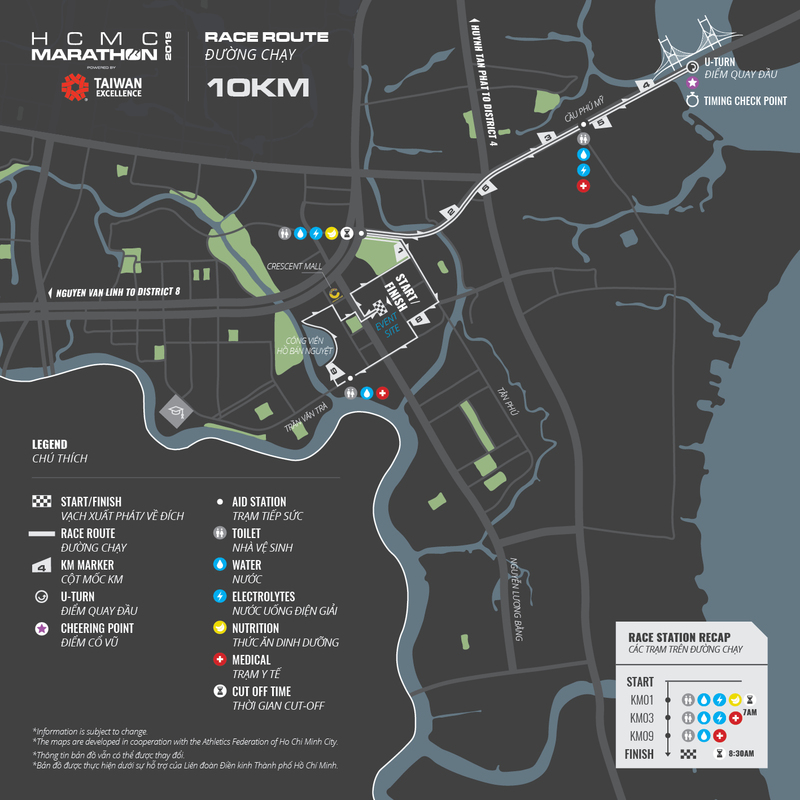 - To those who join the 10-kilometer race: Medals will given when you finish the race. Did Not Finish (DNF) participants will not be eligible for the medals. - To those who join the 5-kilometer race: E-Certificates & wristband will be given when you finish the race. - E-Certificate will be uploaded 2 weeks after the race on the result page. - Medical care is available at certain mobile locations and the finish line. - Bag Drop will be priority for Marathon & Half Marathon. Please note that we have limit number of check-in bag. 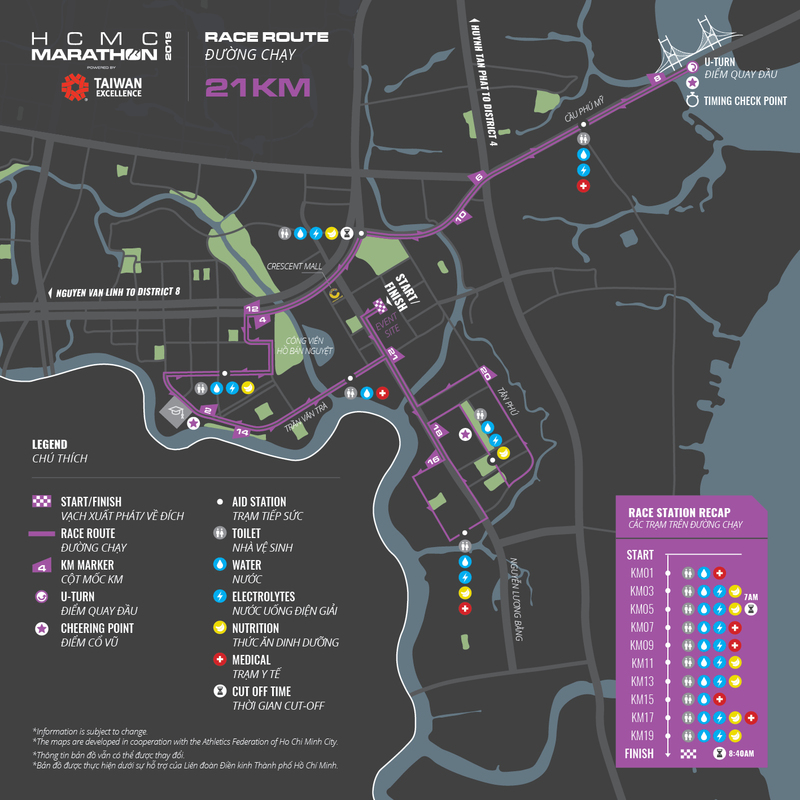 - Water, energy drink/food is provided at certain locations along the run. 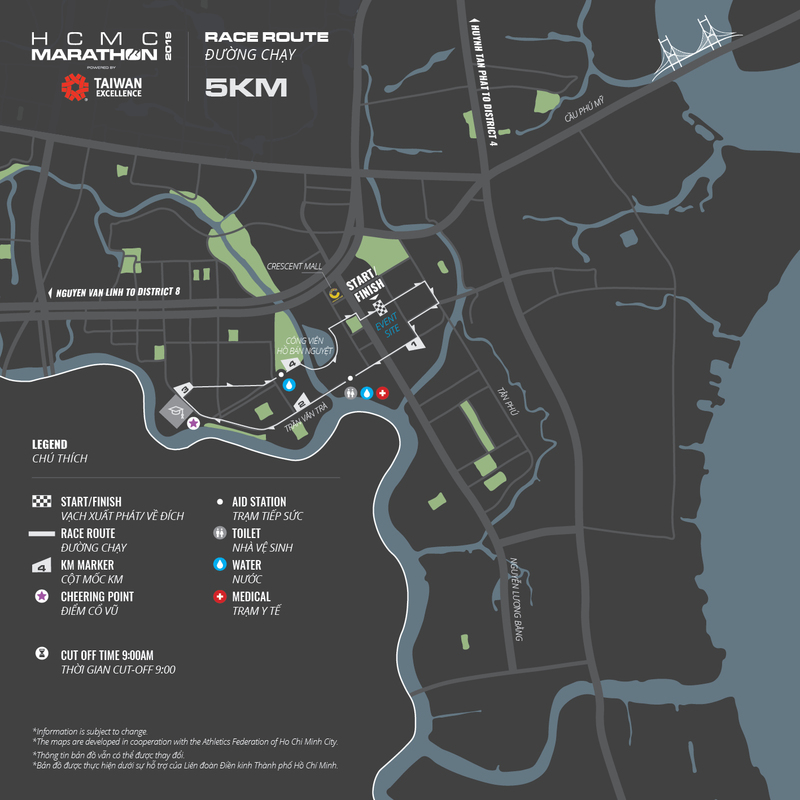 - General Info will be provided in Race Guide. - BIB number should be pinned in front of your running shirt/singlet in a visible way. Please note that information is still subject to change.